The opposition is seeking to take the post of deputy chairman, which has fallen vacant after the retirement of PJ Kurien, who held the post for two terms. 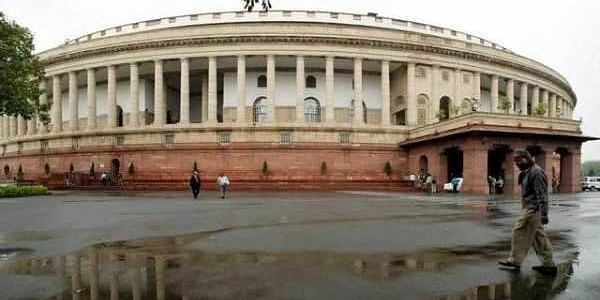 NEW DELHI: Ahead of the Monsoon Session of the Parliament starting July 18, opposition parties are likely to meet to evolve a consensus on a joint candidate for the post of Rajya Sabha deputy chairman. According to sources, a meeting of opposition parties is likely to be convened by the leader of opposition in the Rajya Sabha on July 16 or 17 for chalking out a joint opposition strategy to take on the ruling dispensation. Among the key issues that the opposition wishes to raise are the rise in mob lynchings, law and order situation in the country, especially in Jammu and Kashmir, the rise in crimes against women, the Agrarian crisis and the bad health of the country's economy. Kurien retired on July 1. Though the Congress is the largest opposition party in the Upper House, it is yet to evolve a strategy. Sources, however, say that the Congress is likely to yield space to the other opposition parties and wants a consensus to be evolved on the post. While no opposition meet has taken place, the name of Sukhendu Sekhar Roy of TMC is doing the rounds as a possible opposition candidate for the post. The BJP and its allies are also not ready to give in and are likely to stake its claim on the post. Sources say the BJP may field a candidate of one of its allies and the name of Akali Dal member Naresh Gujral is doing the rounds. Asked about its strategy, senior Congress leader and deputy leader in Rajya Sabha Anand Sharma said, "We will have our own strategy and then we will hold a strategy meeting with the opposition parties. We wish to evolve a consensus on the opposition candidate for the post. The opposition will meet soon and evolve its joint strategy in this regard." He said, "If it has to be an opposition candidate, there is no way it can be without the Congress support.